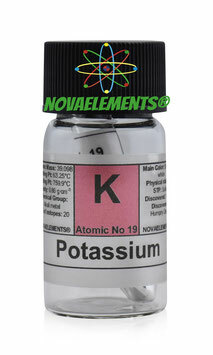 Potassium is the third element of the alkali metals group with chemical symbol K and atomic number 19. Potassium metal is a soft silvery white solid at normal pressure and temperature, it is so soft that you can cut easily with a knife, it is also highly reactive with the air and with water, more then sodium metal. In the air Potassium metal turns black cause the formation of own oxide, in the water it burns vigorously with a purple flame and produces potassium hydrate (also called potassium idroxide). Like the other two "brother", also Potassium metal is put under High Quality mineral oil to prevent oxidation. 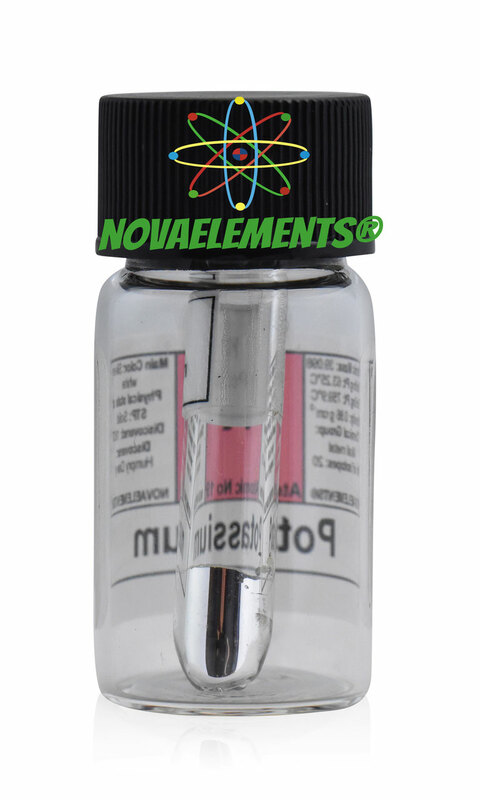 High purity Potassium metal element 19 sample of 1 gram in glass vial under mineral oil. 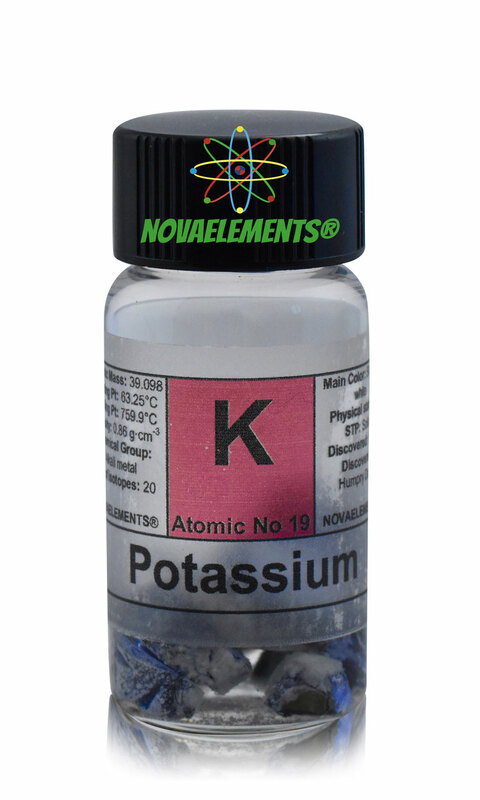 Pure Potassium metal sample. 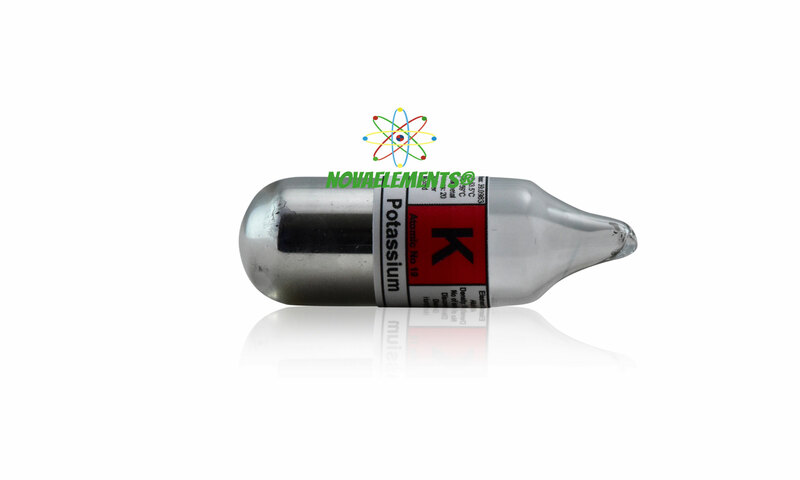 High purity Potassium metal 99% argon sealed, sample of 1 gram completely shiny. This sample is absolutely rare, is a must have for every element collectors. 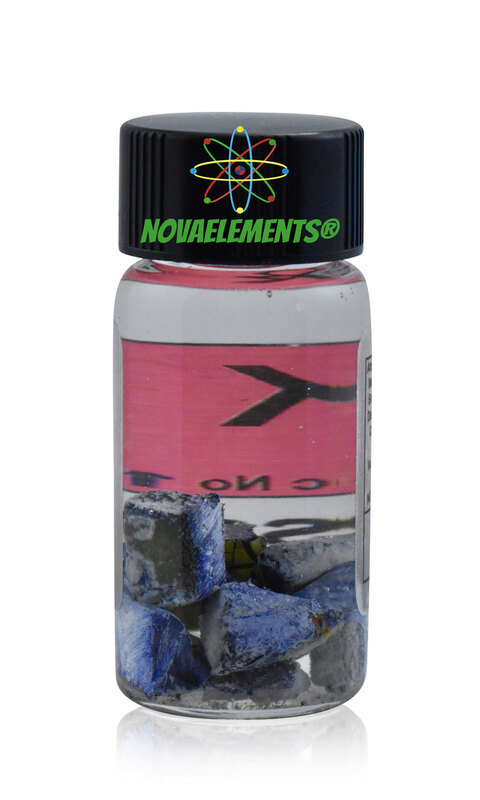 We are the only one who sell shiny alkali metals! LEAD TIME: 4 WEEKS.